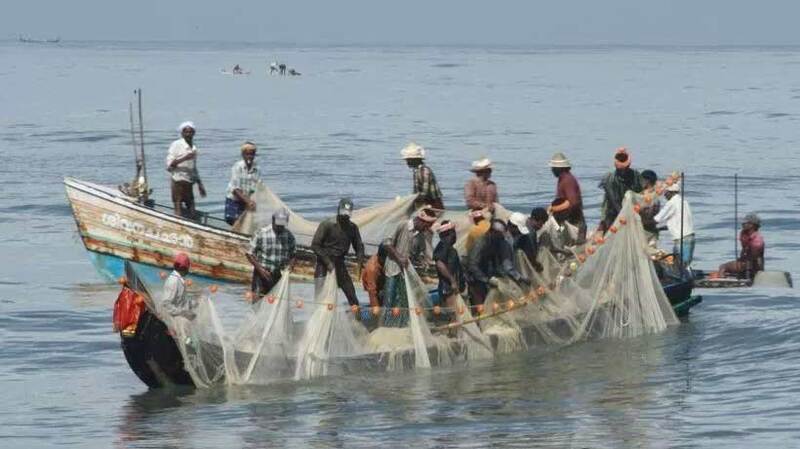 Chennai: Indian Coast Guard had denied firing at Indian fishermen aboard a vessel in Palk Bay on Monday.There were reports that fishermen aboard the vessel Jehovah Jireh were shot at. Coast Guard officials said on Tuesday that there was no firing of any rubber bullets as claimed by some fishermen in Rameswaram. They added that the security agency does not use rubber bullets. They claimed that their vessel was on patrol off Indian Maritime Boundary Line as part of routine investigation and the fishing vessel Jehovah Jireh was engaged in pair trawling around 2.40 pm on Monday. This trawling involving two boats is not allowed in Tamil Nadu, the officials said. “On approaching of the Coast Guard Ship, Jehovah Jireh sped away leaving the nets in the water and did not stop despite repeated caution,” according the security officials. The Coast Guard ship followed the boat which rammed it and finally after 50 minutes the boat stopped. The authorities cautioned the fishermen, they said.